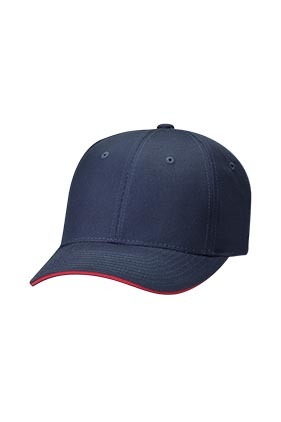 65% polyester/35% cotton sandwich cap. Structured, mid-profile. Six-panel, Pre-curved sandwich visor. Hook and Loop Closure.